An intellectual property attorney, Albert advises clients concerning the licensing and development of intellectual property assets and the transfer of technology and IP. He prosecutes trademark applications before the U.S. Patent and Trademark Office and handles trademark disputes at the Trademark Trial and Appeal Board. Albert assists clients ranging from startups seeking to disrupt a market to medium-sized technology companies developing new products and large, established businesses integrating new technology solutions to improve their services. Represented personal fitness, yoga and hydration therapy companies concerning franchise and branding matters. Advised a Texas-based technology company in the sale of its intellectual property and other assets valued at more than $25 million. Represented the purchaser of a group of Florida companies that possessed intellectual property rights in web-based software products for the insurance industry. Represented the owner of an online business in the formation of a new company with a new partner to revamp and update the services offered by the business. Prosecuted a lawsuit on behalf of a trademark owner against a competitor over the latter's use of a confusingly similar name. Reached a settlement whereby the competitor agreed to change its name, agreed to the entry of a permanent injunction to keep it from using the similar name and paid damages to client. Represented a trademark owner in an ICANN proceeding to prohibit use of domain names that would have infringed the owner’s trademark. The National Arbitration Forum found in favor of client and transferred ownership of the domain names. Defended a large, publicly traded company involved in electronic payment systems in a patent infringement lawsuit in federal court in Austin, Texas. The case was settled favorably after the judge granted client's motion to dismiss. Defended a startup company against patent infringement and misappropriation of trade secret claims relating to CMOS power amplifiers used in cell phones. After a two-week trial, the jury found in favor of client on 35 of the 36 submitted claims and awarded no damages. The judge entered a take-nothing judgment on the merits in favor of client. Defeated an attempt by a competitor of client physician to keep him from using a descriptive domain name and to transfer the domain to the competitor. The ICANN decision denied the relief sought by the competitor and refused to transfer the domain name. 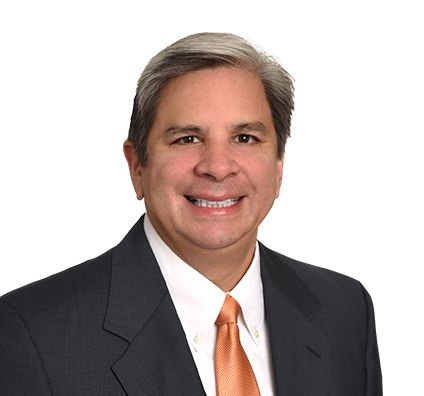 Defended numerous clients in patent infringement lawsuits filed in U.S. District Court, Eastern District of Texas. Advised an international toy and puzzle company concerning trademark and branding issues. Represented a machine vision software company that provides global custom software development services to national and international clients. Developed an IP portfolio strategy for an engineering and manufacturing company that develops emergency vehicle lighting and technology products for use by first responders and in the construction industry.